Free | For families of all ages! Join us for an afternoon of fun-packed music making for ALL the family. Pick from a range of exciting workshops and be inspired to create your own music. No experience necessary and all free of charge! Join the Drum Works team for an hour-long workout of energetically powerful mass drumming. Featured in the BBC’s original Ten Pieces, Drum Works will deliver a fast paced session that is hands on from the very start. Be inspired to start writing your own songs or take your songwriting to a new level. Bring an instrument if you want, or just turn up with an open mind – either way, we’ll produce a short song together and have a lot of fun! Explore making music and sound through drawing! Create your own melodies using music-boxes. Learn the various ways that technology can be used to produce music. Write your own epic song lyrics with some easy-to-learn techniques. Book onto one or all of the workshops using the tickets below to guarantee your place. Each family member will need their own ticket. All workshops are brought to you by ICMUS, and commissioned by Peterborough Presents. 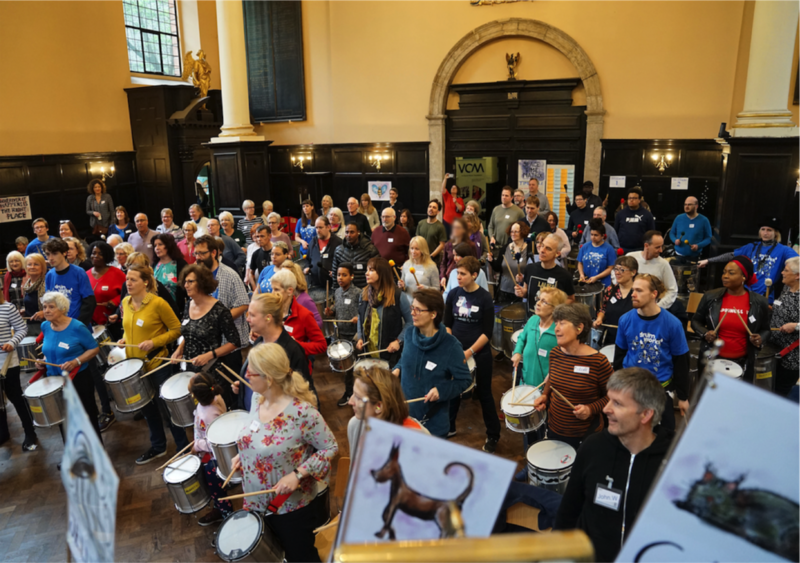 ICMUS - Inspire Community Music is a not-for-profit Community Interest Company. Our purpose is to produce music-driven, yet frequently inter-disciplinary arts projects, where music and art act as a catalyst to learning and engagement across any field of study or interest. Our aim is to inspire wonder, empower creativity and release otherwise repressed artistic instincts - and by doing so, unleash untapped potential to increase and enhance knowledge.